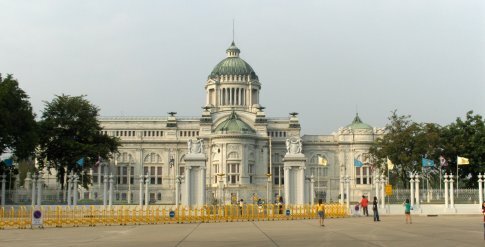 The Ananda Samakhom Throne Room (พระที่นั่งอนันตสมาคม) was built in 2450 BE (1907 CE) by Thailand's King Rama V who was known as Ananda Mahidol. 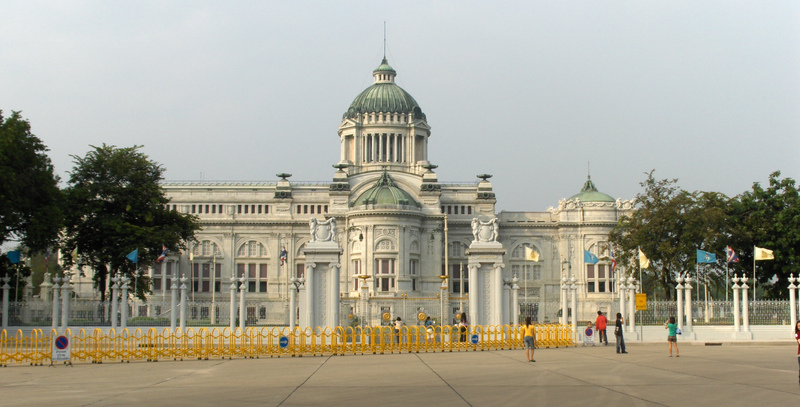 It is one of the Royal Palaces in Bangkok. This photo was taken during the 2006 CE Thai coup d'état. If it looks deserted that's because everybody was at the other end of the square looking at the tanks.